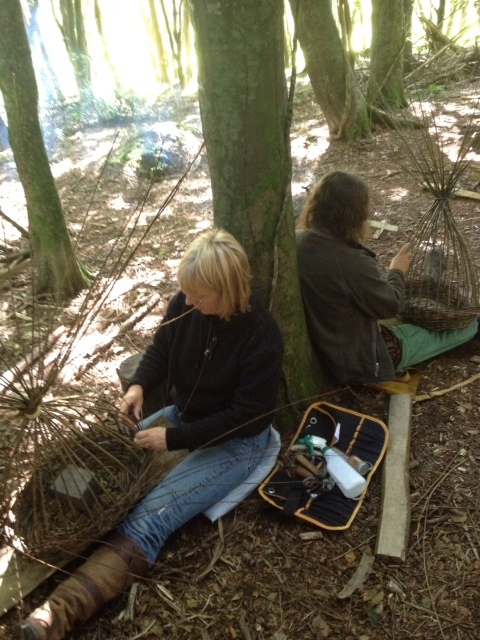 With small numbers on each course, enjoy the creative craft of basket weaving in a lovely woodland setting. 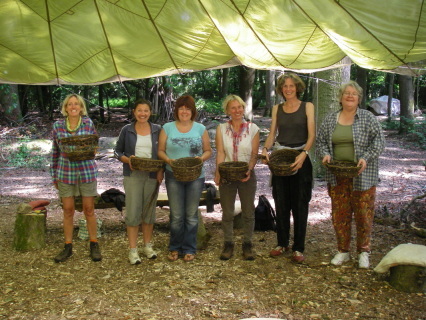 Courses are run over the summer months as and when there is enough interest, please contact us if you would like to be placed on a course mailing list or phone me on 01736 763676 to discuss. Using my own locally grown Willow and foraged woodland material such as Holly, Travellers Joy and Ivy, learn to prepare the materials and weave a basket with a real sense of place . 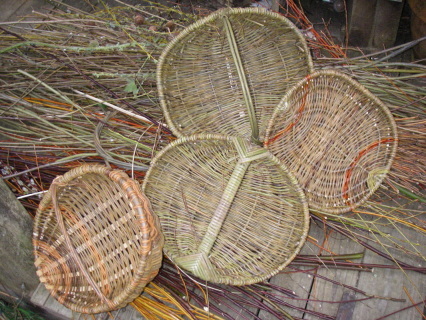 From a round or oval base, depending on your previous experience, use techniques such as pairing, waling, french rand, slewing, bordering down and wrapping a handle. Suitable for all levels of experience. There will be a small charge for materials. 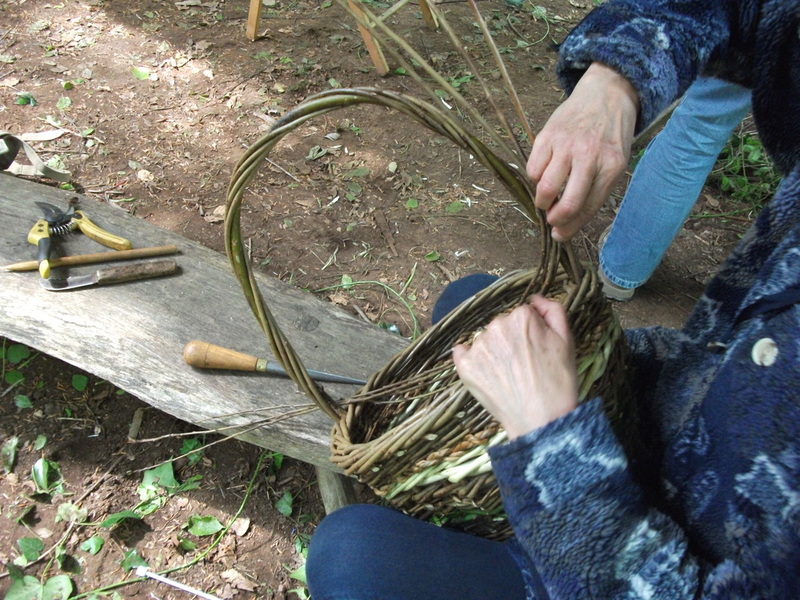 A great introduction to basketmaking. 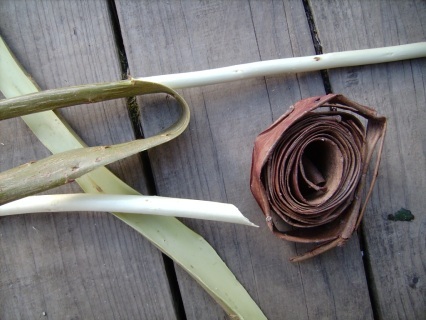 Start from a round base and use traditional stake and strand techniques for making a fruit bowl/bread basket or similar. A fun and creative workshop introducing you to willow. 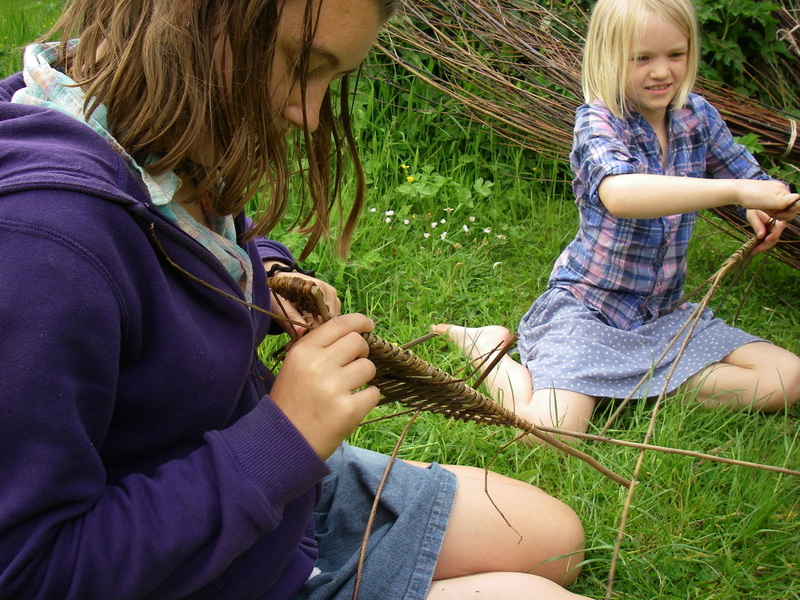 Learn to make woven items such as fish, dragonflies, and birds. 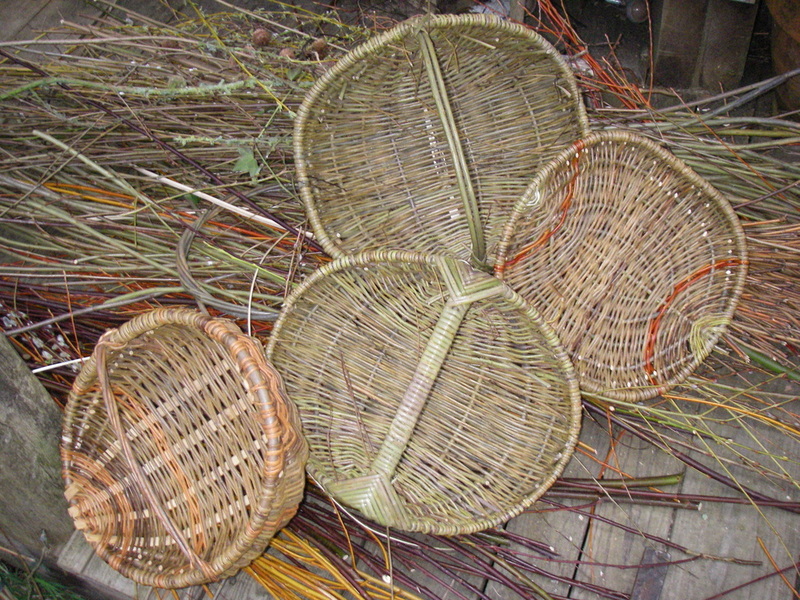 handle to rim and weave naturally coloured willow into the basket. small charge for materials used. 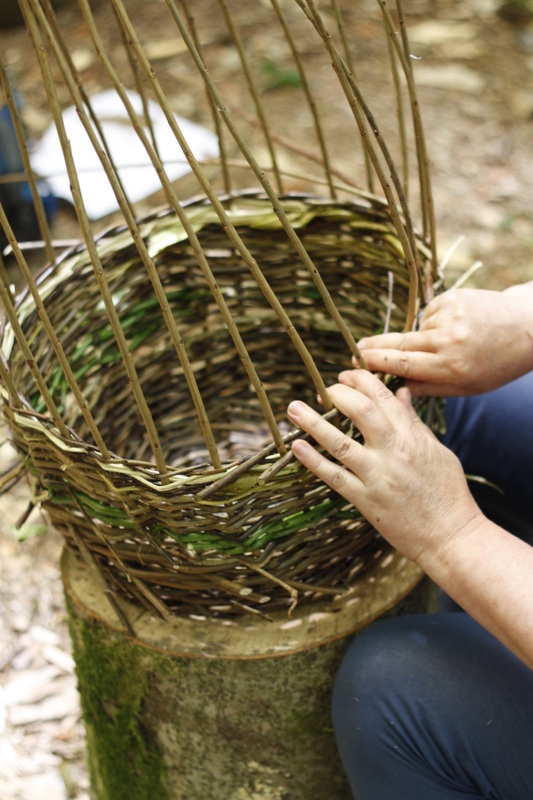 Suitable for all levels of experience, though beginners will be encouraged to weave with whole willow rods as opposed to split. 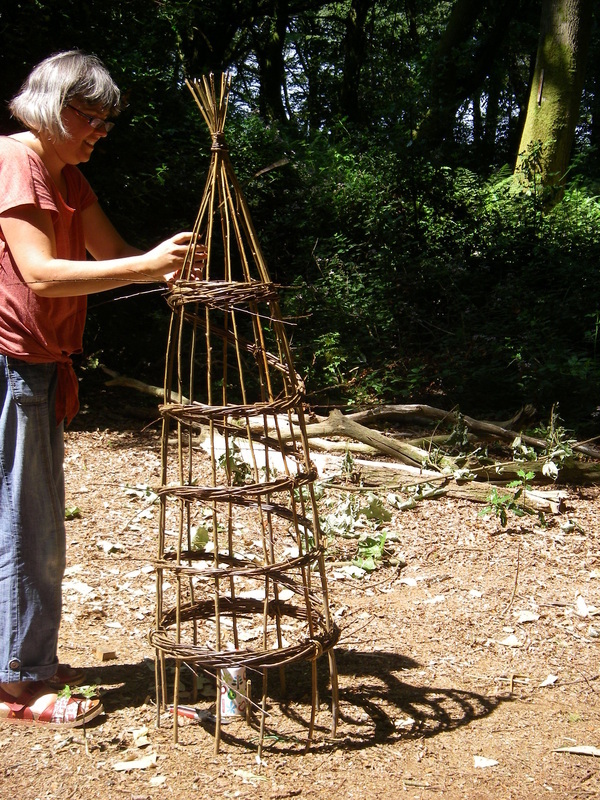 Spend a day making willow products that will enhance your garden. Make one large or several small willow tipee plant supports suitable for sweet peas or runner beans.There will be small charge for materials used. 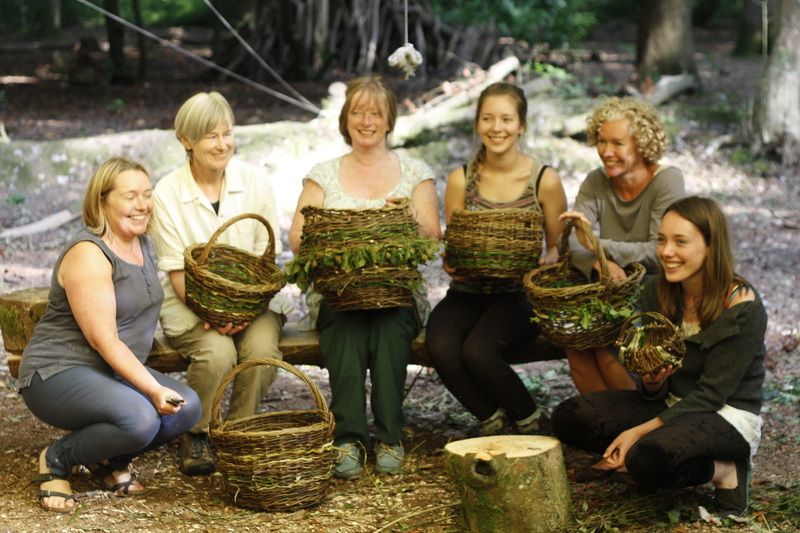 Spend an afternoon in the woods making small baskets from willow bark and rush using basic plaiting techniques over a mould. 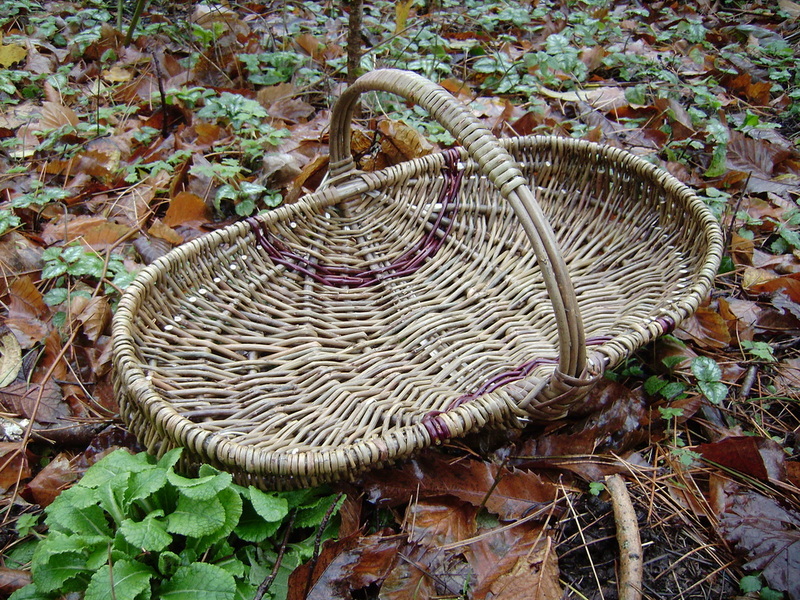 Learn to make a large open frame basket that is perfect for foraging in the wild or in your garden! Make a hoop and ribs, cleave and shave willow to create skeins, use gods eyes to attach handle to rim and weave naturally coloured willow into the basket. There will be small charge for materials used. Suitable for those with some previous experience. Starting from a round base, learn to identify, collect and process hedgerow materials. 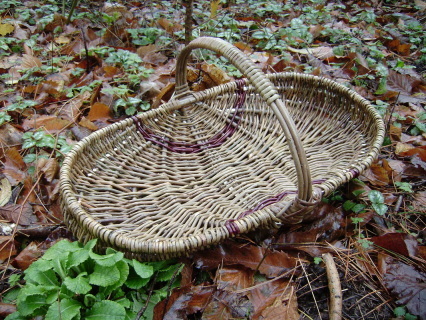 Include bramble, dogwood, ivy, hazel and wild willow amongst others to create a beautiful basket that has a sense of place.. 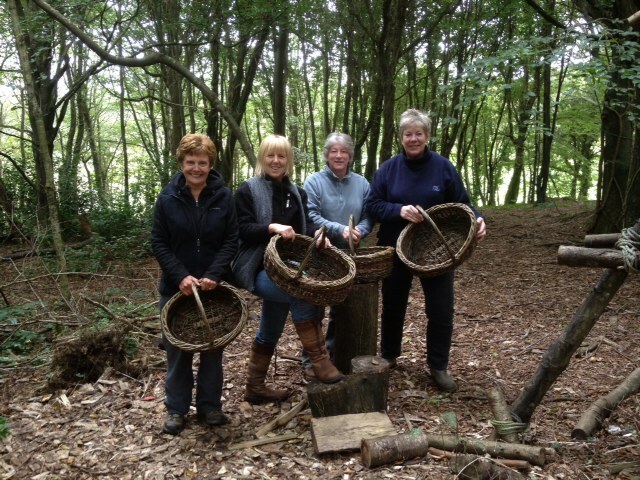 Suitable for all levels including beginners. There will be small charge for materials used.